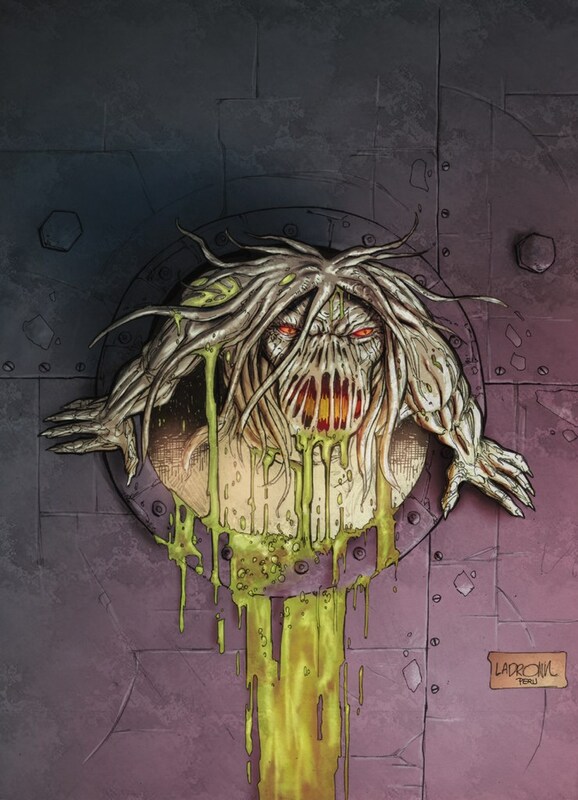 Wampus is a shapeshifting alien sent to Earth by a cosmic power, the Great Mind, for the purpose of spreading chaos, so that from the ruins of this Earth can arise a new world where humans worship the Great Mind and evolve into creatures like himself. 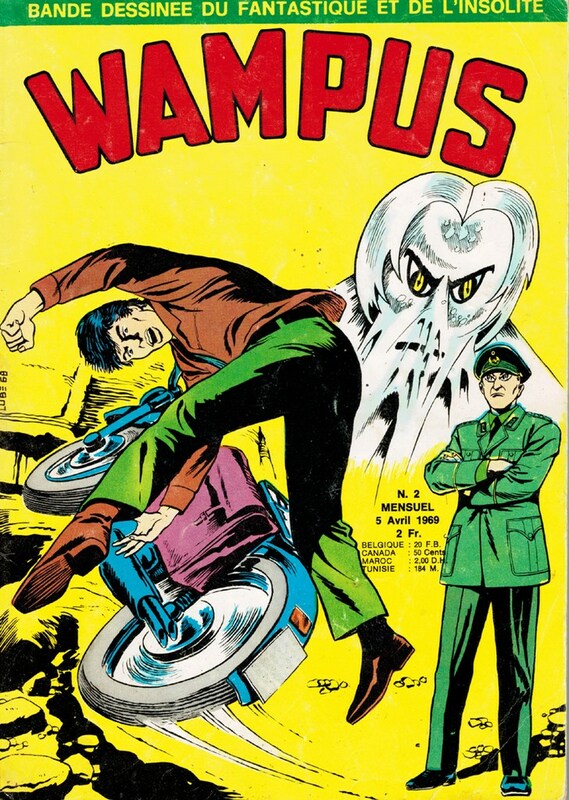 Soon after his arrival, Wampus met his predestined enemy, Jean Sten, an agent of French counter-intelligence, chosen by the Great Mind's opposite cosmic force, the Universality, to challenge Wampus. With Sten in pursuit, Wampus wrecked havoc in France, Germany, New York and Tokyo. After a dimensional jump, Wampus and Sten created an alternate branch of time in which London was destroyed in a nuclear explosion and earth eventually fell prey to the Great Mind. The Time Brigade then arranged for Wampus to travel back in time, a journey during which he met Dragut, Gallix and Kabur, and became aware of his pivotal role in Earth's history. Finally, on Labyrinth, at the end of time, in the presence of Futura and both cosmic forces, Wampus and Jean Sten met in a final duel which replayed their earlier London encounter and decided Earth's future. Sten sacrificed his own life to end Wampus' threat. Sten was then resurrected to serve the Universality; the ultimate fate of Wampus remains to be chronicled. Some claim Wampus' original human form was identical to that of Jean Sten. Indeed Wampus has exhibited some residual human qualities -- a dry, grim, caustic sense of humor and an almost forgotten longing for and appreciation of the beauty of a woman. Wampus is a wraith-like figure made up of a hard, yet flexible substance, with no skeleton. This is the result of an evolutionary process that began with a normal humanoid form (such as that of The Other), becoming increasingly alien as it gained in power, until it eventually settled in the template form. Wampus (like The Other and Futura) is a metamorph with total control over his cellular structure at a molecular level, although he needs water or blood to trigger a total metramorphosis, and fire will shock his metabolism into reverting to the template form. 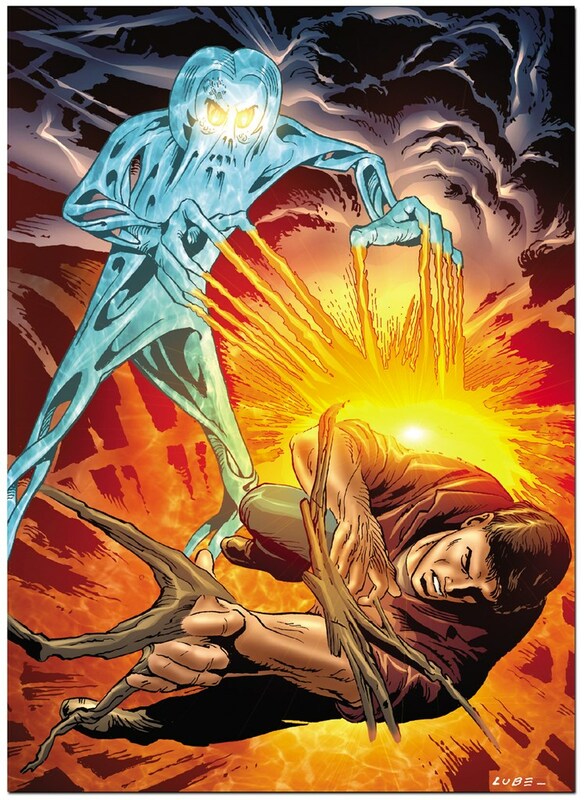 Wampus can also shoot rays of bio-energy from his eyes and his fingertips. In desperate situations, if his prayers to the Great Mind are answered, these powers can be magnified to achieve terrifying results. Recently, afer the seeming destriuction of Futura at the hands of Salamandrite No. 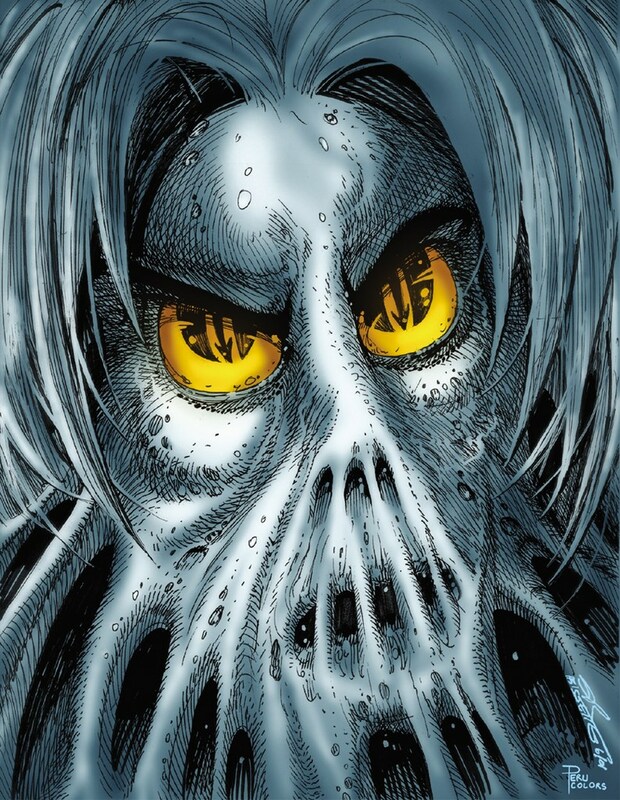 17, Wampus appeared to rise from what remained of her basic substance.